The family home in 1861! 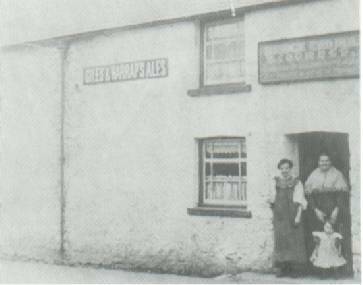 This is the Bridgend Beer House, later the Bridgend Inn. On the 1861 census, my Great Great Grandfather (John Gwenlan) was living here. This picture was taken in about the 1890's. 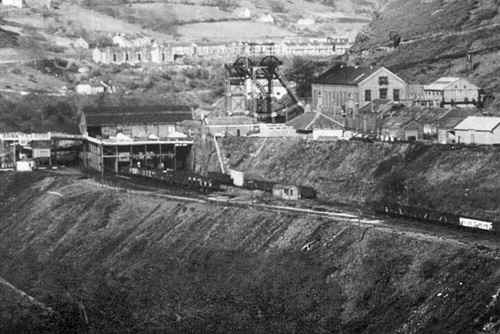 By 1871 John was back in the Coalmine, as he was on the 1851 census. He was reputedly a 'bare knuckle boxer', no doubt plying his trade from this house! 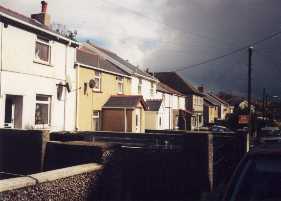 This is Protheroes Cottages, Scwrfa, Dukestown, Tredegar. 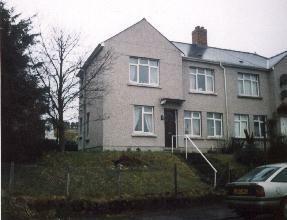 Here my father was born, and Thomas Gwenland & Caroline Saunders died in 1946. 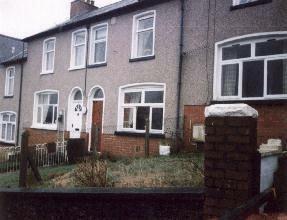 My Grandfather (yet another Thomas) was probably also born here in 1901. From the census information, all the immediate family were living in this same area from 1851 onwards. My Grandparents had moved to Markham by 1928.